5. Give encouragement instead of gifts. Avoid apologizing for disappointments. "I'm sorry" has its place in family life, for example, when you lose your temper or accidentally throw away your child's precious artwork. Don't debate your house rules. Manage meltdowns. Teach your kids the lost art of patience. Give encouragement instead of gifts. Parenting is hard sometimes! We try to do our best, but sometimes our kids just act like brats! Don't miss these 5 smart ideas for how to unspoil your kids. Part 1. Breaking Old Habits. Identify spoiled behavior. 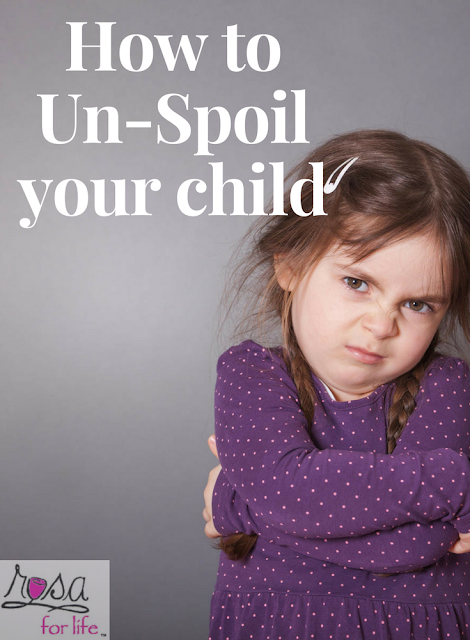 Ask yourself how you might be contributing to your child's spoiled behavior. Break the cycle of saying "yes" when you should say "no". Get in tune with your child. Start bargaining...intelligently. Make family time a priority.